If you have used LinkIt One or read documentation, you'll discover that serial port is not the only option for debugging your projects. I have created a simple LinkIt One library and a Python Server terminal for sending and receiving your debugging information over your home wifi network. Use the library, plug LiPo battery into LinkIt and start receiving debug messages through WiFi. Feel free to hack and modify the Library to suit your needs if you feel you dont need serial port for debugging. Since the terminal server is written in python its cross platform thus you can run it on any computer with ease or without modification. 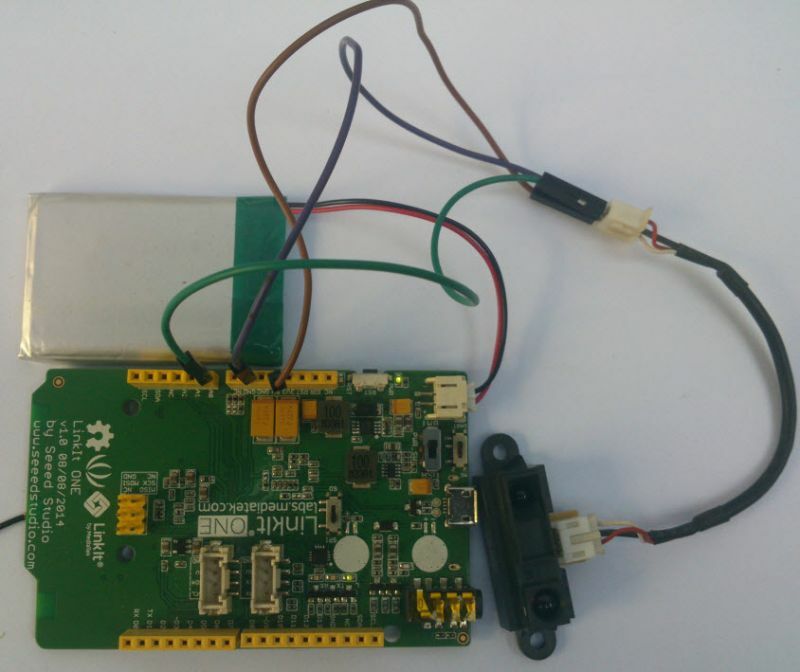 e.g if you are developing a GPS Application and you've got a poor signal inside your house, you can program LinkIt and place it outside and view your GPS information. include the preprocessor needed and the LTerminal library. To use the LTerminal Library you need to put the LTerminal folder in your Arduino Libraries folder. #define WIFI_AUTH LWIFI_WPA// choose from LWIFI_OPEN, LWIFI_WPA, or LWIFI_WEP. in the setup function, start with LTerminal.begin(WIFI_AP, WIFI_AUTH, WIFI_PASSWORD, SERVER, PORT) and then begin printing your data to terminal using the Print Class Methods e.g. write, printf, print and println. Unfortunately you can only send to the server and not back to LinkIt One but implementation is easier since LinkIt wifi Client suports reading responses and the Terminal/Server side is implemented using python socketserver module capable of creating a powerful server. A Graphical Interface is much better than command shell, if you can do it then hack the LTerminal.py else wait for update. This sample code is derived from the ConsoleAsciiTable [ Examples->Bridge->ConsoleAsciiTable] and modified to print to wifi terminal.